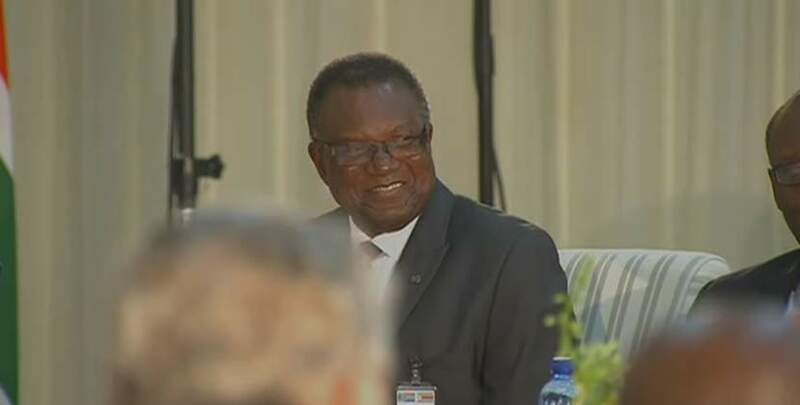 Energy and Power Development Minister Dr Joram Gumbo has engaged a top petroleum products player, Fleet Energy (Pvt) Limited, as Government moves to locate lasting solutions to fuel shortages dogging the country. Dr Gumbo met officials from Fleet Energy in Dubai last week, when he was in the oil-rich Middle East country for the International Renewable Energy Agency (IRENA), held in Abu Dhabi, the United Arab Emirates. Fleet Energy, a top global player in the procurement and wholesale of petroleum products, is a partner of Rosneft, a Russian company whose head honchos have been keen to meet President Emmerson Mnangagwa. Dr Gumbo, who led the Zimbabwean delegation, told our Harare Bureau last week that they decided to take advantage of the Abu Dhabi conference to "engage fuel companies". "Considering the fuel challenges being experienced in Zimbabwe, and the fact that I was in the Middle East, I thought it was going to be remiss for me to return without engaging some fuel players there," said Dr Gumbo. "I am glad to tell you that Fleet Energy expressed their willingness to sign a fuel supply agreement with the Government of Zimbabwe, subject to fruitful negotiations with the Ministry of Finance and the Reserve Bank of Zimbabwe. "In addition, the company is interested in infrastructure projects such as upgrading the fuel pipelines, storage facilities, power plants and even oil refinery." Government told Fleet Energy that despite its current fuel shortages, the country has a long-term aspiration of becoming a centre that distributes petroleum products to the Sadc region, taking advantage of its convenient location. Dr Gumbo said as efforts to tie the deal gather pace, the two parties agreed that Fleet Energy would submit a written proposal to the Ministry of Energy, with all the options on petroleum supply and payment options. Further, Fleet Energy bosses would visit Zimbabwe in the near future to meet and exchange notes with all relevant stakeholders including the Ministry of Finance and Economic Development and RBZ officials. "We will also supply Fleet Energy with detailed fuel consumption figures, and discussions would be escalated to President Mnangagwa," said Dr Gumbo. Foreign currency shortages in the country have caused interruptions in fuel supply, hence Government's desire to ink a sustainable deal that does not put it under pressure. Government is also set to give Fleet Energy a brief document on the $5,2 billion rated Batoka Hydropower project. Engagements between Zimbabwe and Zambia for the implementation of the Batoka Gorge Hydropower project have seen the two countries agreeing on China Power and General Electric, as the companies that will undertake the project. This means Fleet Energy could be given a role in the mega project that is expected to generate 2 400MW to be shared between the two countries.